Mobile businesses have been around for a long time. Despite that, they’re still considered a novelty, and get invited along to all the festivals and conventions out there, and people love to have a burger or hotdog from their local van instead of cooking for themselves some evenings. 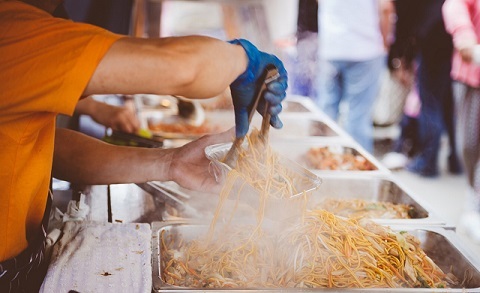 Either way, it’s clear having a food stall or van is a popular business move, and it might just be the right one for you to look into. After all, working in hospitality is one of the oldest and most lucrative franchises out there, and you should cut a slice of that pie for yourself. And one of the best ways to do that is to become as convenient to the general public as possible! So without further ado, here’s a couple of ideas for making sure you’re running the best food possible. It’s the only way you’re going to improve at your craft! And it might just be one of the best ways to increase your customer base as well; if people hear you’re coming into town, or you’re coming to an event near them, they might just head out and about to order something from you. So experiment with all the dishes you put out there; cook ingredients for different times to get the perfect medium rare steak burger or the perfect char grill on the piece in that chicken wrap. Or combine different meats and fruits together, as ham and pineapple/pork and apple have been working for centuries now! You only find these delicious meals out through a bit of inventing, and when it’s your job to constantly cook anyway, it’s going to be easier than ever! Every food van or stall out there has something they’re known for. It’s all a part of branding after all, and if the clue isn’t in the name when it comes to the title of you’ve business, you’ve completely missed your branding direction. Always have something popular to fall back on when it comes to signature dishes. For example, if you’re known for your fruit kebabs, covered in glossy, creamy chocolate, or you’re known for your pizzas that are absolutely laden with colorful peppers, make sure you’ve got dedicated fruit and veg suppliers in the directory to order your ingredients from. It’s a relatively quick way to success, as long as people are interested in the food you’re offering; keep the description simple, the pictures colorful, and get some reviews on your website as soon as you can. Running a food stall might seem like a hard idea right now, but it’s going to be a great business decision because of the maneuverability. You can go wherever you need to, you can cook whatever you want, and you can jump back and forth between suppliers when you need a fresh batch of ingredients. What could be simpler in the world of business? The food industry could do with another convenient mobile business on its hands!